This type of crown is fabricated entirely out of metal. The metal crown has a silver color. Metals used in crowns include gold alloy or a base-metal alloy (nickel or chromium). There are several advantages of full metal. Full metal crown has great strength, rarely break and lasting more time. It require less tooth grinding. 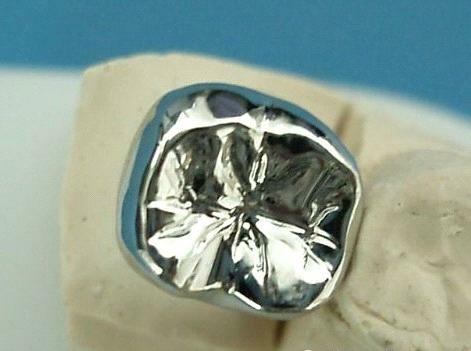 The single disadvantage of this type of crown is its metallic look. If you don't mind the fact that it's not tooth-colored, full metal crown is an excellent choice for back out of sight teeth.